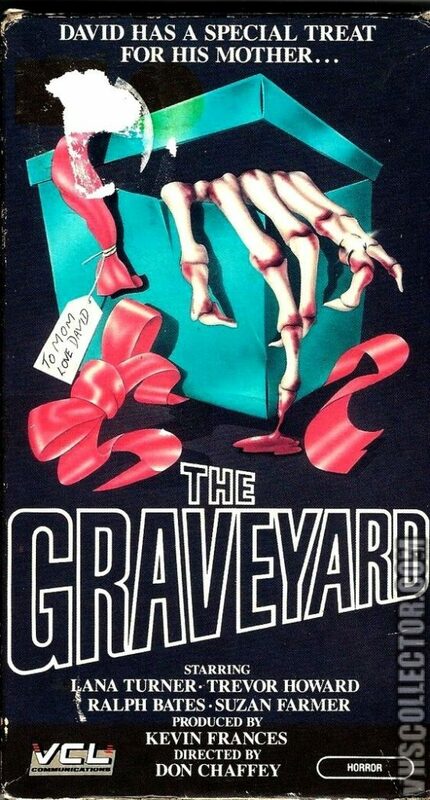 Also shown under the titles THE GRAVEYARD and THE TERROR OF SHEBA, this Gothic British horror movie stars Lana Turner as a maniacal mother who delights in making life miserable for her spineless son(Ralph Bates) who is slowly, but surly, tiring of his deranged mama and her wicked, wicked ways. With her beautiful face, every hair in place, her fashionable costumes, and her exquisite jewelry, Lana Turner, at age 53, is still the very essence of Hollywood glamour. But this is 1974 we’re talking about, and her name didn’t have the same sparkling effect on the box-office that it had in say 1947, so the film went mostly unnoticed by the movie-going public. The picture itself is a dreary and rather ghoulish retread of familiar BABY JANE-ish high jinks. But Turner has fun with her looneytunes character, and makes this otherwise derivative little film quite watchable. Lana personally regarded this as her worst performance, but she isn’t bad at all. Actually she’s quite good. I’m convinced she did more with the role than anybody else could have. In fact, she won the Best Actress Award at Spain’s Festival of Horror Movies. I strongly recommend this film to her fans who should find it quite interesting to see Turner playing the kind of merciless, blood-curdling psychobitch that Bette Davis and Joan Crawford played in their Scream Queen days.